Protect the environment and avoid potential trips and slips by containing and clearing any spillages. The super absorbing polymers inside the cloth transform the liquid into a gel, which is bonded safe without any dripping. Each cloth can absorb approximately 1000ml of water.The cloth is easy to use and also provides a quick response to any potential spill where risk of injury could occur. Simply place onto the spillage with the unprinted side down, wait, remove and dispose of it. Spill kit specifically designed to offer a practical, yet cost effective solution for dealing with small incidental spills and leaks around the workplace. 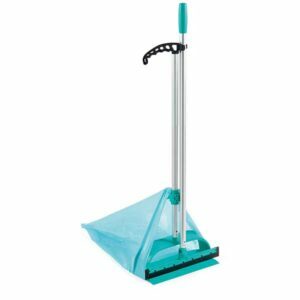 Ideal for use in workshops, on the shop floor or carried on vehicles that transport liquids. 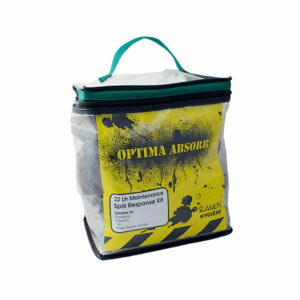 Suitable for use inside on spills of non aggresive water based and oil based fluids and mild chemicals.The spill kit is supplied in an attractive bag with carry handle for ease of use.Large spill kits & bulk packed absorbents are available at special request, ask your local sales representative for more information.